Over on Bill Moyers' site, I came across this item -- Here Are the 56 Percent of Congressional Republicans Who Deny Climate Change. It sparked my interest in particular because on the map Oregon was shaded gray, meaning that Oregon had no climate-change-denying Republicans in the Congress. 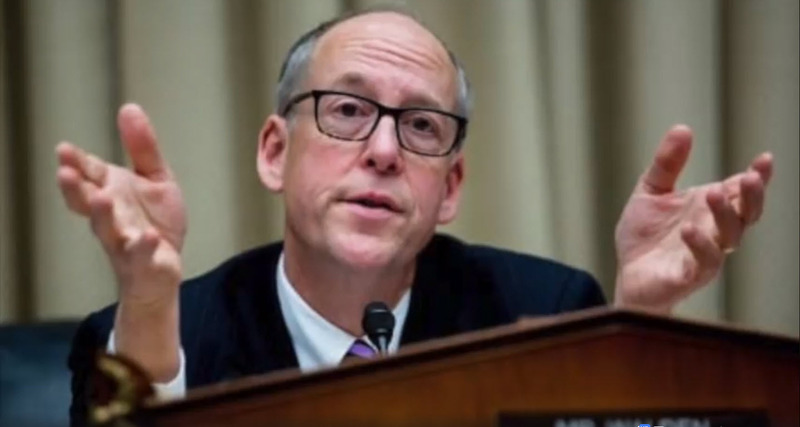 Greg Walden's not a climate-change denier? Seemed like a claim that's ripe for a quick fact check. So... We have a guy that says "changes have to occur" and we must "do everything we can" on climate change. Sounds pretty good, right?Well, I've now figured out what's worse than a climate-change denier. It's someone who fully understands the threat that climate change poses to humanity, and blithely refuses to do anything about it. He voted against a ban on oil drilling off the coast of California from the San Francisco Bay to the Oregon Coast. He voted against funding research on clean energy technology. He voted against funding a Pentagon program to increase energy efficiency in the military. He even voted against a ban on oil drilling on the continental shelf in places that the US Navy identified as problematic for their military operations. And oh yeah, a capper: Walden may not deny climate change but he voted against an amendment that simply read, "Congress accepts the scientific findings of the Environmental Protection Agency [EPA] that climate change is occurring, is caused largely by human activities, and poses significant risks for public health and welfare." So... here's to Greg Walden. A guy that knows that the ice caps are melting and we're putting our kids and grandkids at risk. But where he's concerned, he doesn't need to actually do anything about it. Except cut down more trees.